According to the waste statistics produced by the Environmental Protection Department of HKSAR in 2011, on average we dispose of 9,000 tonnes per day of municipal solid waste in Hong Kong. This amount is equivalent to as many as 750 double-decker buses*. 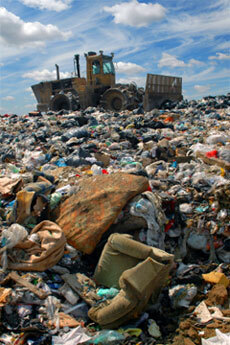 The three strategic landfills in Hong Kong are expected to be exhausted before 2020. We all have a role to play in protecting our environment and it is time for us to take some action. Green dot Home is an organization established in 2012 focusing on collecting and recycling used furniture and homeware. Some of the items collected will be donated to the public and others will be sold in second hand markets with part of the proceeds donated to non-profit/charitable organizations. Our mission is simple - to promote sustainable living in Hong Kong. Sustainable living does not mean compromising our standard of living. It is a concept that simply means we use our Earth's natural resources in a smart and responsible way. The resources that are no longer needed by one person may be useful to someone else. *According to EPD, each empty double-ducker bus weights about 12 - 16 tonnes. Our aim is to collect used furniture and homeware, and then apply the 4Rs process (renew, restore, revitalize and recycle) to minimize the amount of waste we send to our landfills. In addition, we want to promote the value of sustainable living by increasing the acceptance of these used items into our society. We promote the collection of used furniture and homeware, and to help educate society about the value of sustainable living. Part of the sales proceeds of the used items will go to charitable organization as a gesture to support local welfare. We will also make regular donations of some of the furniture and homeware we collect to less privileged families in Hong Kong.